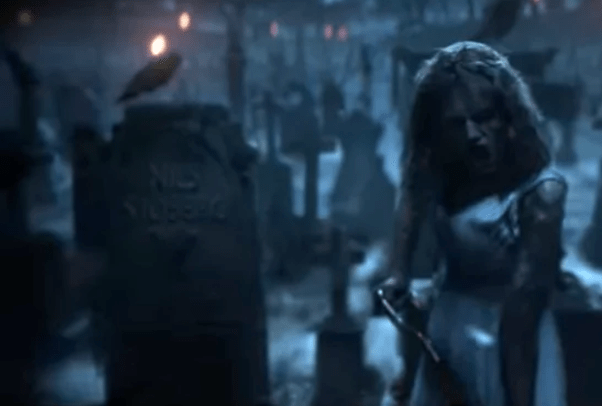 If you look closely in the opening scene, Taylor is dressed in the gown she wore in her “Out of the woods” video, and written on the tombstone was the name “Nils Sjoberg.” As many will remember, Nils Sjoberg was the pseudonym that Swift used for a songwriting credit on her ex-boyfriend Calvin Harris’ 2016 summer hit, “This Is What You Came For.” It probably signifies that her old 1989 era self and her relationship with Harris are long dead, and she buried them herself. If there’s one thing that you should really keep an eye out for symbolisms (aside from the other references), it’s her wardrobe. 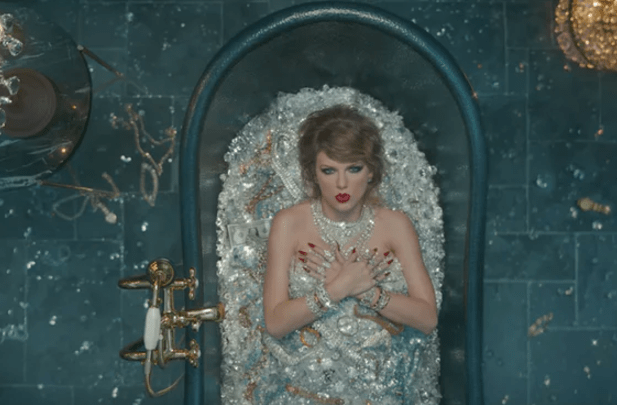 In the bathtub scene where she’s lying on gems and diamonds, she can be seen in Oscar de la Renta gown that the singer wore to the Met Gala in 2014. There’s also a single dollar bill just beyond her right shoulder, which fans speculate that it represents the $1 she was awarded after she won her sexual assault case against former radio DJ David Mueller. Taylor has been associated in the past with the snake emoji, as posted by archenemy Kim Kardashian in one of their past rows involving Kanye West. It also points out to when Kim’s half-sister Kendall, posted a tweet about drinking hot tea while watching whatever’s going on among Swift and the Wests. It’s no secret that Swift had some beef with frenemy Katy Perry, and in one of the scenes, she transforms into a Katy lookalike, complete with a blonde hairstyle that the “Fireworks” singer is sporting as of late. She was also holding a Grammy trophy, which is another diss to Katy, as she still has yet to win one, while Taylor has nabbed tons. Swift is known to be part of a squad of famous models and personalities with tall height, rock-hard abs, and “It-Girl” status, such as Gigi Hadid, Selena Gomez, Karlie Kloss, among others. She clearly references this to a scene where she gives a speech to robot-like models who were all wearing the same thing as she does. Tom Hiddleston, one of Swift’s ex-boyfriends, was caught in a similar shirt with the statement “I heart TS” when they had a beach party with friends. 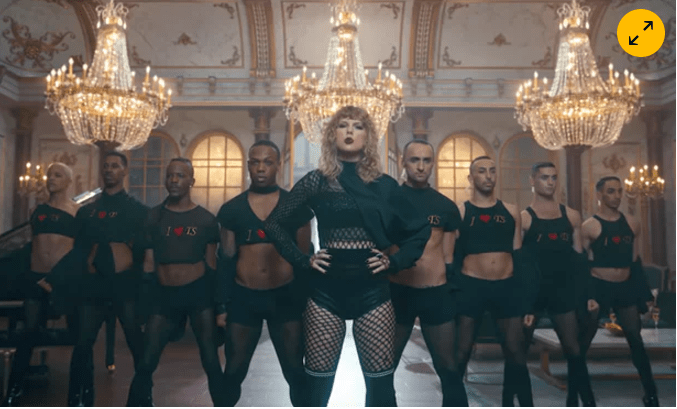 Another striking detail is the number of the male dancers, which fans allude to the eight high profile ex-boyfriends Swift was linked with. By the end of the video, we see past Taylors donning iconic outfits from her previous videos, with one dominant Taylor stepping on them from the top. Finally, the Swifts both old and new assemble before an airplane, where the word “reputation” appears again. The Taylors squabble at each other, with one reciting a line from the infamous moment when Kanye West interrupted her speech at an award show. It seems like the old Taylor Swift is dead, and the new Taylor has made it loud and clear.